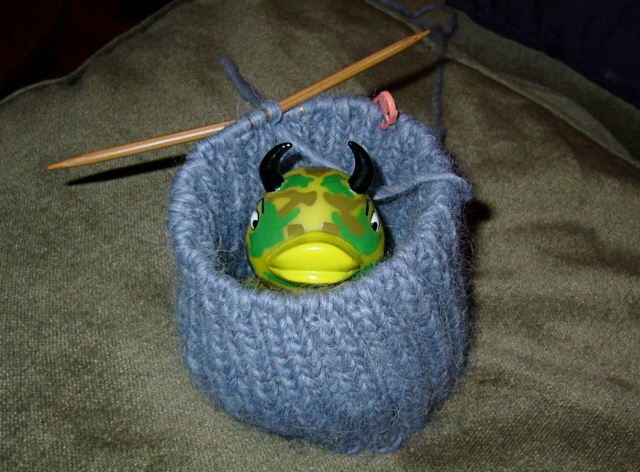 So I started this blog to begin a dialogue about knitting and men and stuff. I know I am not the only one out there, but I would like to bring my own version of this issue. I am going to work on putting this page up at the moment. I will have more to say soon. Perhaps I can get some other people to contribute as well. So if you have a passion for knitting and you have your own pointy stick… (sorry can’t help but make this joke) please let me know if you would like to contribute. If you are in Boston, I am thinking about setting up a group on Tuesday in the Harvard or Inman Area. Anyhow, let the madness begin. I want to subscribe to your podcast and blog, but cannot find the link to do so.